When choosing the best way to budget your money on your tactical items, remember that a good rifle scope can completely change the outcome of your hunting experience. For example, a great rifle scope can give you a wonderful experience with a mediocre gun, as opposed to the combination of a high end gun and mediocre rifle scope. Spending more money on a rifle scope can give you a great outcome in your hunting game. What are rifle scopes? Like any other gun scope, the purpose is to assist in the aligning and aiming of weapons. They can be very simple, or highly complex. The type of rifle scope you need depends solely on the type of shooting you choose to do. For example, if you are using your rifle solely for deer hunting, you won’t need a scope with a highly magnified lense. Anything more than 7 or 8x magnification will not be necessary. You’ll also want to consider the terrain and the time of day that you are shooting. Some scopes come with night vision that incorporate an infrared illuminator. 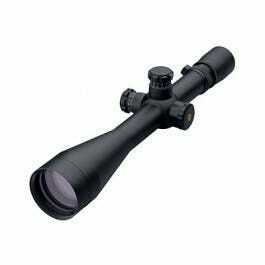 If you are hunting nocturnal game, you’ll want to make sure you have this type of scope. Once you’ve found the right type of scope, you’ll then need to mount the scope to the rifle. Before mounting, you’ll want to first hold the gun in the position that you are taking aim. This way you’ll be able to adjuster where your neck is going to be and insure you’re comfortable. This is very important, especially anyone who has sat for hours in a deer tower can attest to!